This product is a big #yay for me. Its so good to use and its really perfect for my skin. It helped me with my dry skin. It's a little expensive for a student like me but it was worth the prize. It moisturized my skin really well. I hope to use this product more in the future. Love it a lot !! A big thumbs up. This product have very promising effect on me . I love how this products moisturized my skin when i check my face in the morning first thing after i wake up. It repaired my dry and chaply skin and improved my skin condition. I can recommend this product to rhise people with very dry skin like me. It will help smoothen and lighten the skin. 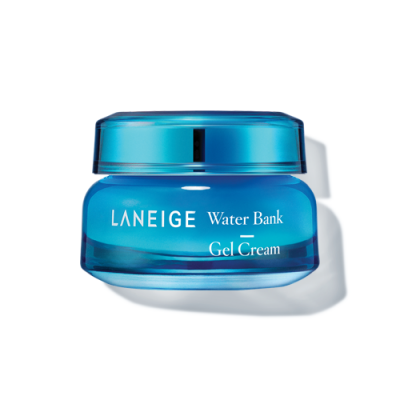 I use the laneige water bank cream as part of night time skincare routine. It is light weight, nourishing, refreshing, gel like in consistency and soothing to the skin. I use it with the skin refiner, essence,emulsion and sleeping mask rom the same line. I am pleased to say they are worth every dollar spent. I’ve gotten to test this while in a beauty store looking for a product that wouldn’t cause me to break out, or cause my over sensitive nerves to freak out. For some reason I can’t wear 99% of lotions. So serums and water creams are the only thing I have going for me. This was uber soothing and lightweight! I really enjoyed the way it felt on my hands and forearms. I know it’s meant for my face but I was looking for something that just might work for both. This is one of the few that could pass for it.